Your company has the best business birthday cards I have seen anywhere. 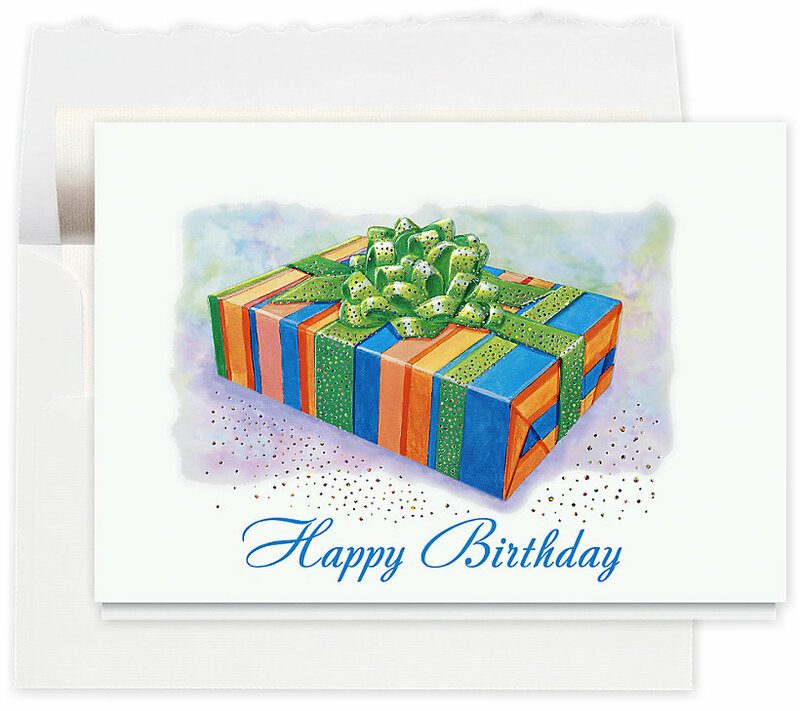 I have been purchasing birthday cards for our clients as well as the employees for a few years. This year your mailing came across my desk, which prompted me to go to your website and once there I realized there were many more to choose from than the company we had been ordering with the past couple years. These were very professional looking cards, bright and cheery, but still business appropriate. Since I knew this was exactly what my administrator had been looking for, I called your company and inquired about getting a sample or two. What wonderful people and great customer service! Not only did I get to speak with a live person immediately, the young man was extremely pleasant! It seemed as if he was grinning as we spoke. When the samples arrived we were really impressed with the texture and feel of the cards. Great quality paper and printing made them stand out like no others. Needless to say since we wanted 300 cards for our business birthday card needs we placed 3 different orders, using a different design and verse in each order of 100. We also had our company name printed in each card and chose to have the return address of our company printed on the envelopes. This made my life super easy! The timing for the order process only took about 2 weeks from the time I received the mailing which introduced me to your company until I received the cards beautifully printed and completely ready to address, stamp and mail out. Thank you! The last place I called about samples really turned me off, completely. The rep was more interested in pushing a sale right then & there than she was in trying to help me. Glad to hear great customer service still exists at this company. The fact that you send samples really helps. Ordering online it’s hard to know if the cards are the high quality we want for our employees. Working in purchasing for several years I’ve learned to be cautious before I commit to spending. All of us here love your birthday cards. I agree, The Gallery Collection’s birthday cars are gorgeous! I decided to order one of each birthday assortment box because I couldn’t pick just one design! I’ve brought you along from my old company to my new one. It’s so easy to send out cards when you have them printed and ready to go. We get all sorts of thanks and compliments. Your selection of birthday cards are one of the best I have ever seen. I can’t decide which card to choose, maybe I should order a birthday assortment box instead. Maybe I should do both. I think I will. I also came across the Gallery Collection website and called requesting a sample package of cards to see before I made my purchase, the rep. who was very pleasant taking my mailing information, and she even surprised me when she asked, if I would like to see specific samples?, what a company, can’t wait for the samples I picked out arrive so I can order.